Following the phenomenal success of its second year, the third edition of Abantu Book Festival is scheduled for 6-9 December 2018. This year as in the past, the best poets, novelists, literary scholars, musicians, actors, activists and thinkers are integral to a program that includes: acclaimed Nigerian author and proud feminist, Chimamanda Ngozi Adichie is one of the literally giants set to grace the annual literary gathering along side prolific Zimbabwean writer, Tsitsi Dangarembga, who will also be launching her latest novel, 'This Mournable Body', Odafe Atogun, Bibi Bakare-Yusuf, Lola Shoneyin, Lesego Molope, Professor Pumla Dineo Gqola, Lebohang Masango, Fred Khumalo, Kwezi Mbandazayo, Kagiso Lesego Molope, Helon Habila, Novuyo Rosa Tshuma, Nozizwe Jele, Jolyn Phillips,Tumelo Buthelezi, Lesego Semenya, Rosie Motene, Esinako Ndabeni, Haji Mohamed Dawjee, Tembeka Ngcukaitobi, Sue Nyathi, Kgotsi Chikane, Gail Smith and many others. Like the past editions, Eyethu Lifestyle Centre will host free day events from 10:00, while evening proceedings will begin at the Soweto Theatre from 18:00, for R20 per event. 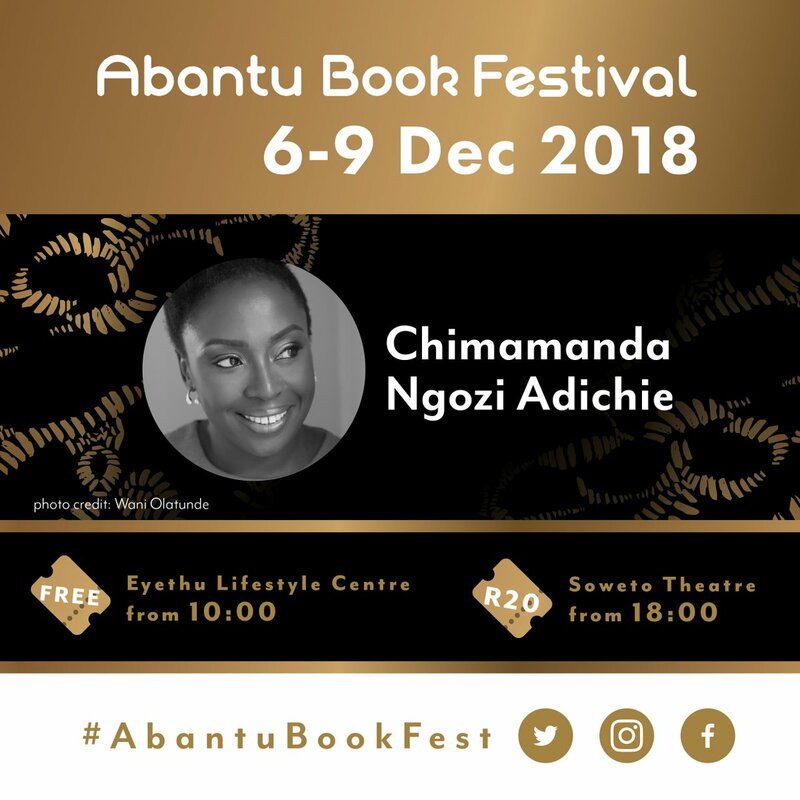 - Chimamanda Ngozi Adichie will grace the festival on Friday, 7th Dec, Eyethu Lifestyle Centre, in conversation with Professor Pumla Dineo Gqola. - Tsitsi Dangarembga will be launching her latest novel, This Mournable Body, at the festival on Sunday, 9th December, in the company of Lebo Mashile. She was the keynote speaker at last year's edition of the fetsival, and she promised to return. She kept her word. - Lola Shoneyin. She's the founder and director of the acclaimed Aké Festival, and celebrated scribe notably of The Secret Lives of Baba Segi's Wives. She'll be in conversation with The Cheeky Natives, among others. - Odafe Atogun. He, will be at the festival for its entire duration. He was the most suggested author this year by readers, writers and organisers. Odafe will be in conversation with Dr Wamui Mbao. - Kwezi Mbandazayo will host Dr Rethabile Mashale Sonibare, the co-founder and principal of Molo Mhlaba, an independent school in Kapa, founded by black women for black girls; and Mzuzukile Soni, CEO of Brown Sense, the black business platform we all find so useful. - Kagiso Lesego Molope and Fred Khumalo will run the Creative Writing Workshop. - Professor Pumla Dineo Gqola will be chatting to Chimamanda. Launching Kagiso Lesego Molope’s fourth novel, Such a Lonely Lovely Road; launching the tenth anniversary issue of A Man Who is Not a Man by Mgqolozana, which is the first time Thando and Kagiso are featured at the Abantu Book Festival. The festival was founded and is curated as a healing project for Black people. Based in Soweto, Abantu Book Festival has indeed become a sanctuary for its participants and requests that this sanctity be respected.